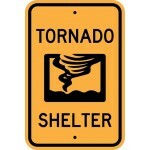 Traffic Signs.com Highest Quality General Service Signs Made & Shipped Affordably in the USA. White-on-blue General Service signs provide road users with generic information about facilities and services that are available along the roadway. 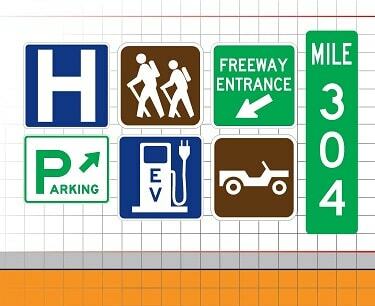 Several different types of General Service signs are commonly used in freeway corridors. General Service signs can identify several types of facilities that may be provided within the freeway right of way where road users can stop and avail themselves of various services. The table At the bottom of the page describes these facilities in order from the most primitive to the least primitive. Please contact us if you don't find what you are looking for.